Fundamental Causation addresses issues in the metaphysics of deterministic singular causation, the metaphysics of events, property instances, facts, preventions, and omissions, as well as the debate between causal reductionists and causal anti-reductionists. The book also pays special attention to causation and causal structure in physics. Weaver argues that causation is a multigrade obtaining relation that is transitive, irreflexive, and asymmetric. When causation is singular, deterministic and such that it relates purely contingent events, the relation is also universal, intrinsic, and well-founded. He shows that proper causal relata are events understood as states of substances at ontological indices. He then proves that causation cannot be reduced to some non-causal base, and that the best account of that relation should be unashamedly primitivist about the dependence relation that underwrites its very nature. The book demonstrates a distinctive realist and anti-reductionist account of causation by detailing precisely how the account outperforms reductionist and competing anti-reductionist accounts in that it handles all of the difficult cases while overcoming all of the general objections to anti-reductionism upon which other anti-reductionist accounts falter. 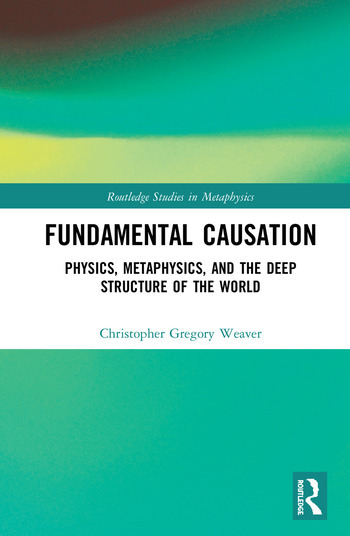 This book offers an original and interesting view of causation and will appeal to scholars and advanced students in the areas of metaphysics, philosophy of science, and philosophy of physics. Christopher Gregory Weaver received his PhD in philosophy from Rutgers University (2015) where he completed his dissertation Essays on Causation, Explanation, and the Past Hypothesis under Barry Loewer (chair), David Albert, Tom Banks (physicist), and Jonathan Schaffer. He has forthcoming or published two book chapters (one with Joshua Rasmussen) and many peer-reviewed articles in such venues as Erkenntnis, the Journal for General Philosophy of Science, Metaphysica, Synthese, and the International Journal for the Philosophy of Religion. Weaver is currently Assistant Professor of Philosophy at the University of Illinois at Urbana-Champaign.